It was a social experiment doomed to end in tragedy. No doubt Canada meant well when it sent friendly little robot traveler HitchBOT to U.S. borders. After all, the immobile robot capable of limited conversation had already completed cross-country trips of Canada and in Europe, request that drivers take it along toward its next destination. A friendly, happy HitchBOT before his Philly beating. 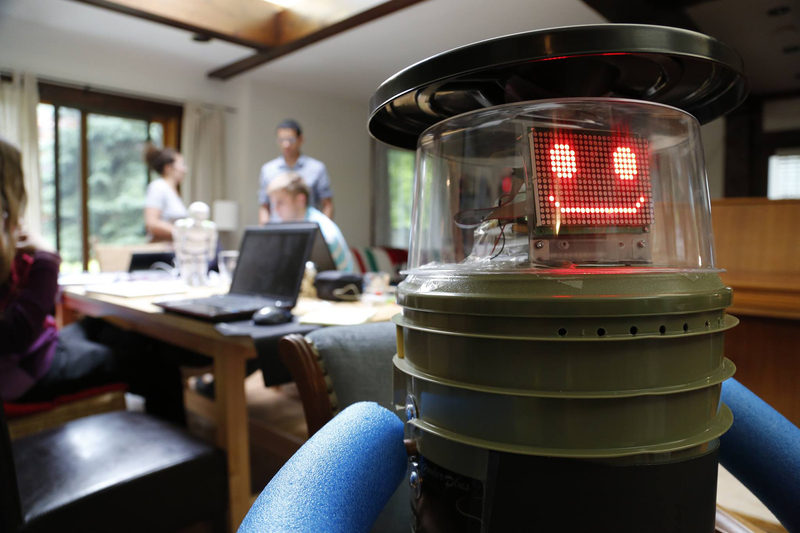 In July, HitchBOT began its journey from Boston toward San Francisco. It got as far as Philadelphia, where it was kicked, beaten and beheaded by citizens of brotherly love in the early morning of Aug. 1. America’s long history of robotism is tragically alive and well, clearly.